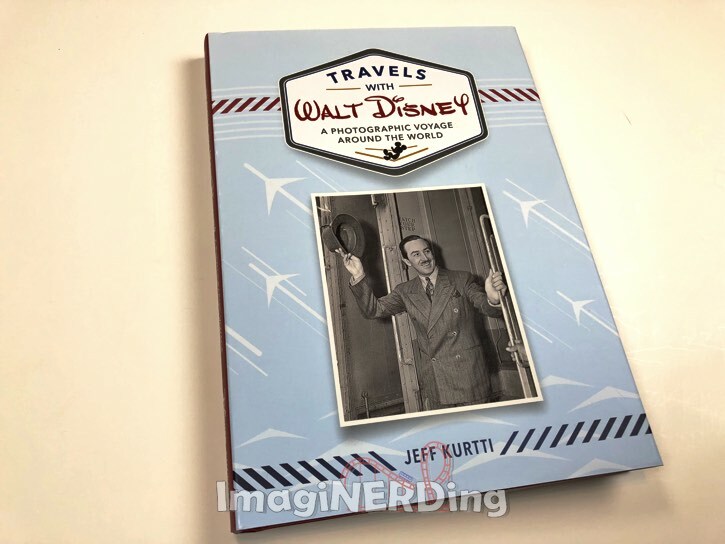 Travels With Walt Disney: A Photographic Voyage Around the World by Jeff Kurtti is that rare book that offers new insight as well as new images of Walt Disney. In today’s over saturation of media, that’s a pretty impressive feat. 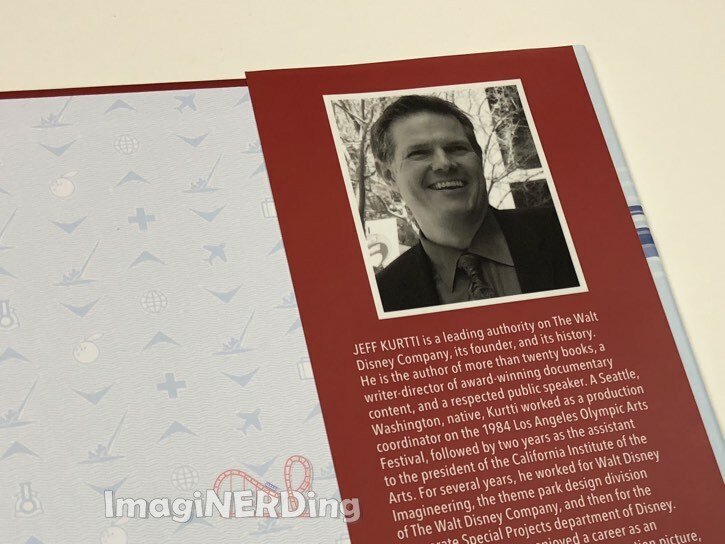 Kurtti’s new book is going to quickly become a fan favorite by offering such an intimate look at Walt Disney and his travels around the globe. 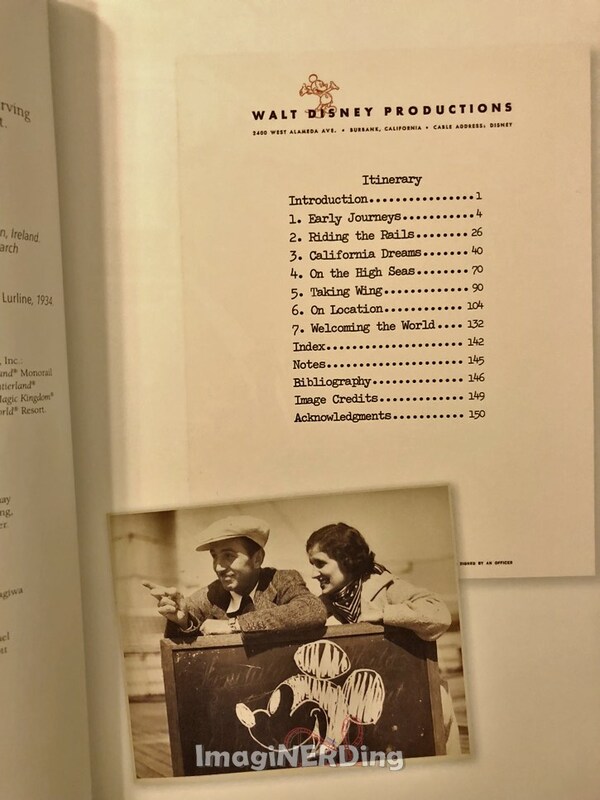 Taking look at the table of contents for the book shows that Kurtti takes broad look at Walt’s life and career, starting with his first travels and ending with people that traveled to Walt’s Magic Kingdoms. The design of the book is pretty fantastic. The table of contents is presented as an itinerary on company letterhead. Throughout the book are special details that refer directly to the company during Walt’s life. 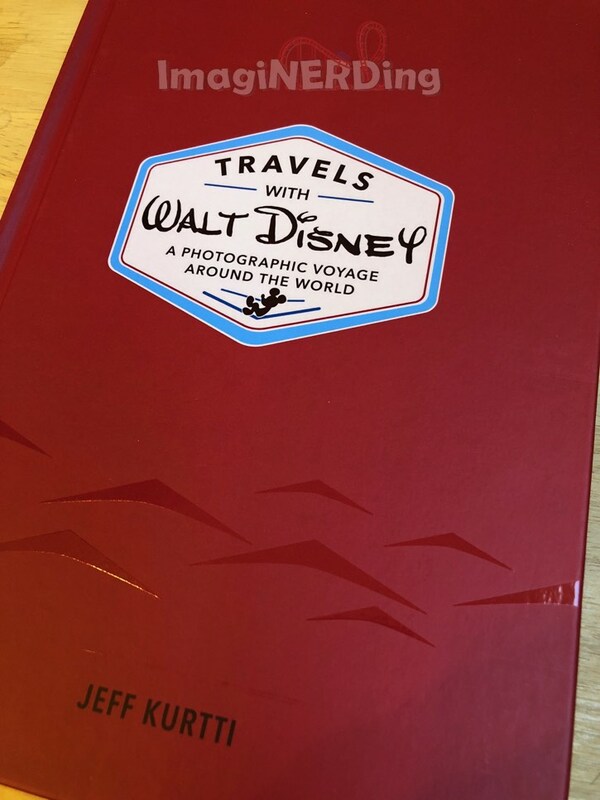 The book serves two purposes: a loving photographic look at Walt’s travels and historical insight into the man and his work. Most fans will walk away in awe of everywhere that Walt traveled and who he took on trips with him. Even extended business trips were taken his his wife, daughters and family friends. Imagine being a girlhood friend of Sharon or Diana and going to Europe with Walt Disney! 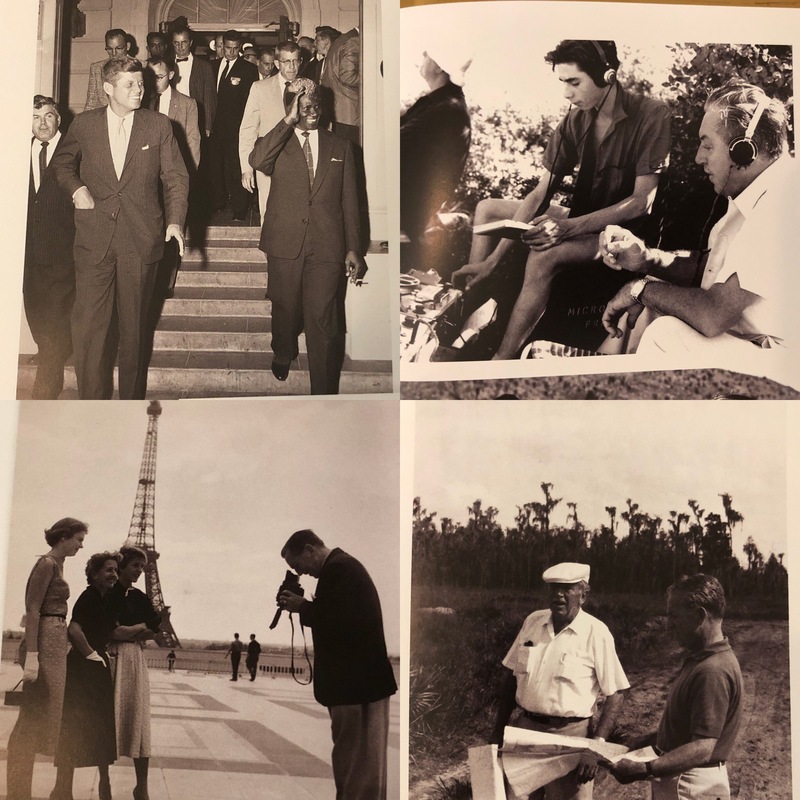 I will admit that there were many photos that I had simply never seen before, especially candid shots of Walt and his family in Europe. Throughout the book are illustrations by Chris Kawagiwa that help tell Walt’s life stories. For instance, there are illustrations of Walt’s arrival in Hollywood and other times/places when photos weren’t available. It’s a small touch, but really adds to the charm of the book and helps relate to Walt’s beginnings as an illustrator. Travels With Walt is more than just a photograph book. Kurtti has curated a collection of photos which he’s illustrated with text that helps define why the photos are important. There’s also an index (yay! ), notes (double yay!) and a bibliography (triple yay!). I’ve mentioned this before in reviews, but having notes and a bibliography is crucial for a work of this caliber. He’s left a trail of his research for future historians and writers. Even the hardcover of the book has a charming mid-century design! Kurtti manages to relate a lot of Walt’s life through the book, including some unexpected travels, like Smoke Tree Ranch and his honeymoon. We also get to go along with Walt and Ward Kimball as they visit the Chicago Railroad Fair, an obvious influence on everything Walt would later do. It’s an impressive amount of text, photos and information in 150 pages. Kudos to Jeff for creating a work that’s going to resonate with so many people. Travels With Walt Disney is a wonderful and heartfelt look at Walt’s life and work through his travel with family, friends and co-workers. Fans are going to devour this book and cherish every page. Kurtti shares a level of intimacy with the Disney family that we haven’t seen anywhere else. Philadelphia Toboggan Coasters (PTC) Early History!